and western side of the country. 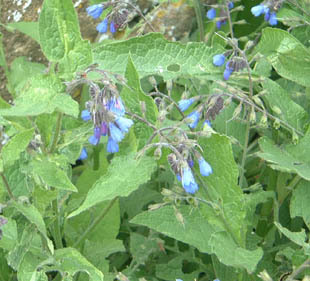 and recognised as naturalised in the wild around 1980. 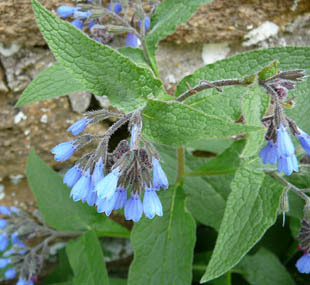 Hidcote Comfrey is a clump forming perennial growing up to 90cm. 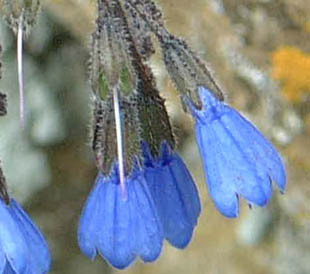 Flowers are azure blue in dangling clusters. 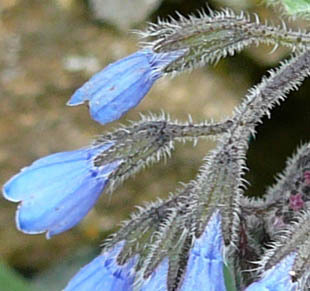 Sepals are divided less than half way. Leaves are green, rough, hairy and stalked. and then grows in the wild.